I am genuinely confused by a term that has gradually become ubiquitous in American society—“leadership.” There are countless books on the topic and chances are you’ve been subjected to “leadership training” if the organization you work for is sufficiently large. Most disturbing of all, to my mind at any rate, is the extent to which our politicians are described as our leaders. I will begin this short inquiry—an exercise in “writing for understanding”—with its use in politics. If we are the government—in the U.S., after all, it’s supposed to be government of, by, and for the people—why would we need political leaders? To govern means something like “to order the affairs of the people according to law,” where the law is to exemplify justice. 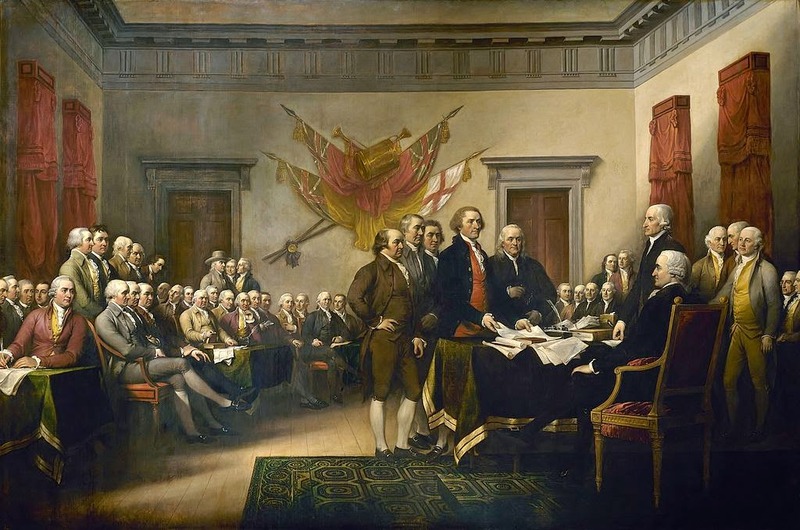 American government is supposed to mean self-government; if this is understood, it is easy to see why Founders like Thomas Jefferson held that this was not possible unless the people were virtuous, for if to govern means to order a people’s affairs according to the norm of justice, if it is the people who are to govern, they themselves must already possess the virtue of justice. Further, one could also understand the need for leaders, for we are not, and at no time have we actually been, a self-governing nation of free, virtuous people. To realize such a noble vision would require men who understand it and know how to bring it about. Such men would be true political leaders. From this perspective, we can see that we have no leaders in government, although at one time we did. Or consider this: leaders lead toward something. To lead means to conduct the led toward a goal or a destination. So, for example, if President Obama is really our leader, what is he leading us toward, what goal or destination? If George W. Bush had an agenda that differed from Obama’s, were we then led toward one thing under him but are now being led toward something else? Moreover, those who are led necessarily follow. So if the president is our leader, are we not necessarily his followers? Well, do you consider yourself to be a follower of Obama? Were you a follower of Bush? But if not, such people are not your leaders. Now, some political figures really are leaders. A leader is one who directs the actions of others toward a goal. Because he had a definite goal, namely to bring every activity of Russian society—whether economic or cultural—under the direction of the Soviet state, Stalin could legitimately be called a leader. Again, someone is a leader only if others follow, and whether freely or through fear, Soviet citizens did indeed follow. It seems, then, that whenever the actions of others are directed by someone toward a certain goal, that person is a leader. So if, on the other hand, people act freely and independently, they are not led. And it follows that if a man is a leader, those he leads are neither free nor independent. Because they direct in this way the actions of those under their authority toward a definite goal, coaches, generals, and corporate CEOs are all genuine examples of leaders. In the case of activities that require comprehensive coordination to reach their goal, one can see the need for leaders—coaches and corporate executives on the everyday level, and generals and revolutionary figures (like the Founding Fathers) in times of crisis. The general rule, then, is that a man is a leader when he conducts others to a goal that they couldn’t, or don’t seem themselves as able to, reach by themselves. There are also authentic and legitimate religious leaders, of course, such as the Pope, who we who are Catholic understand to be a kind of shepherd appointed by Christ to lead His flock to their eternal good with Him in heaven. The freedom of those who recognize his authority is for choosing this eternal good, not the freedom we are more familiar with in American society, which is a freedom to choose among goods, both real and apparent. Non-Catholics might well say that the faithful Catholic believer is not “free” according this understanding of freedom, and they’d be right—although reflection will show why this is an illusory freedom no one should want. But the pope only leads inasmuch as he directs the actions of the faithful, through exhortation, toward salvation; they remain free to pursue temporal goods as they see fit as long as it is within the bounds of the moral law. To return to the main point, however, we can see that leaders are legitimate when there is a definite goal to be achieved, and the actions of others must be directed and coordinated in order to achieve it. In a business, the goal is profit; the activities of the employees are directed toward its generation. Profits sustain the lives of working people in our capitalistic society, and so one might argue that if the profits are ordered toward sustaining workers in a decent life for themselves and their families, then the dominant arrangement of most workplaces, where a single leader or just a few leaders have total authority over every aspect of the work lives of their employees, could perhaps appear to be justified. But of course, this is not the case. The generation of profit is for the good of the tiny minority who are owners, and business leaders assert their control for this purpose and at the expense of working people. 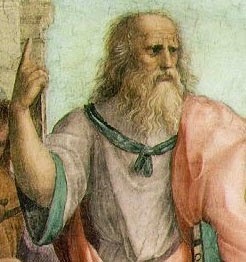 Plato said that when the one or the few exercise their authority for their own interests, it is tyranny in the former case and oligarchy in the latter. Corporations are mini-tyrannies, mini-totalitarian governments, and their leaders are tyrants. There can indeed be benevolent dictators, and there are no doubt many CEOs who genuinely desire the good of their employees, but at the end of the day their goal is profits for owners or shareholders, and they exercise totalitarian control over the work lives and livelihoods of employees; such a combination will always mean, and has always meant, bad things for workers, despite good intentions. “Leadership” has become an obnoxious buzzword in the workplace just as profits and CEO pay are skyrocketing while working conditions and wages are sliding. No questioning of this is either expected or allowed except by us out here on the fringe where we’re harmless; that’s leadership. In the political sphere, we see the same dynamic at work. As the bombs began to fall on Syria and Iraq this month, President Obama made some brief (three minute) remarks about it and boarded the presidential helicopter. He felt no need to get Congress’s approval, as clearly required by the Constitution, and the Republicans in Congress have said they’d rather vote on the matter after the new Congress takes power—in January. Even the pretense of government accountability to the people has basically been dropped. Instead of self-government, we now have leaders. Does this sound nuts? It shouldn’t—it is nothing more than the expression of one of the oldest perverse human impulses, that is, to dominate others for one’s own benefit, and it’s the same basic principle at work everywhere, from the workplace to the nation state. That is why I find the recent uptick in talk about “leadership” so disturbing. Language matters profoundly, and the claim that political figures are our leaders moves us just a smidge closer to the historically normal situation for human beings—dominance of one class of human beings, the majority, by another class of human beings, a tiny elite minority, for the minority’s own narrow interests. If they are our leaders, we are their followers, a subordinate position; more, leadership means not ordering according to an ideal, as with governing, but the directing of the actions of others in a comprehensive way toward the leader’s goal, which is more like what a general does than one who merely governs. This, I fear, is the shape of things to come, a kind of drifting into a new incarnation of the old aristocratic world, with “elites” in government, military, business, and the media coming to form a kind of new ruling class. In large part, that world is already here. And what should be the response of those of us who still believe in the old Revolutionary values of freedom, equality, individual responsibility, and the virtues of a self-governing people? Part of the answer, surely, is to stop looking to “leaders” and start thinking for ourselves.